In the Middle ages, the most common sign to ward off demonic powers. 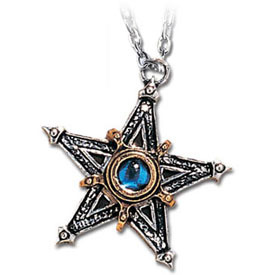 Gilt pewter creates a two tone effect with blue cabochon crystal. Includes a neck chain. Made in England.